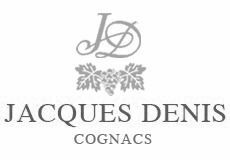 With a history and knowhow that spans back over several generations, Jacques Denis Cognac can be found in a delightful hillside location right in the heart of the Grande Champagne growing region. Today the house of Jacques Denis is remarkably similar to that of over a century ago. The vineyards that span the hillside of the estate are gently and naturally tended, the eaux-de-vie is lovingly aged in limousin oak barrels in the chateau's cellars, and the cognacs themselves are blended in expert fashion thanks to decades of knowledge and experience. The vines that grow are located in the best growing terroir of the region - Grande Champagne and Petite Champagne. In addition to the above there are hour long walks around the vineyards. Transport can be arranged from Saint Preuil (minimum 4/5 persons). Contact the house directly for reservations.